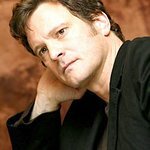 International aid agency Oxfam has joined voices from around the world to congratulate Colin Firth, a global ambassador for the charity, on his outstanding successes at this season’s award ceremonies. At the Academy Awards on Sunday, Colin won the Best Actor Oscar for his portrayal of King George VI in The King’s Speech. His performance in the role has also earned the actor a Golden Globe, the Screen Actors Guild Award and a Bafta. Over the last ten years, Colin has regularly spoken out on behalf of Oxfam. As one of the main supporters of Oxfam’s Make Trade Fair campaign, he has lobbied hard on behalf of millions of poor people disadvantaged by unfair trade rules. He has represented Oxfam in high level meetings with the head of the World Trade Organisation, the EU Trade Commissioner and the UK Trade Minister. In 2005, Colin traveled to Ethiopia with Oxfam. Here he met coffee farmers struggling to bear the burden of collapsed world coffee prices. Following the trip, he lobbied on behalf of Ethiopian coffee farmers in their dispute with Starbucks over rights to the names of some of the country’s most famous coffees. Colin’s work for Oxfam is wide-ranging. He has helped highlight issues and rally support by speaking to the media, being photographed, writing articles and letters. He has donated prizes for auctions and hosted fundraising events in the US and Italy. He has also supported the work of Ucodep – Oxfam International’s Italian affiliate. Married to Italian filmmaker Livia Giuggioli, Colin speaks fluent Italian. In January 2009, he visited Rome to talk to the Italian media about their country’s failure to follow up on its promise to increase overseas aid, and his hopes for the Italian presidency of the G8. The Oscar-nominated actor also met with some of the biggest names in Italian cinema, to galvanize them into putting ministers under pressure. Colin is no stranger to awards – his humanitarian work for Oxfam has been widely recognised. In 2006, he won the European Voice Campaigner of the Year Award for representing the interests of poor countries at World Trade Organisation talks. In 2008, he won the inaugural Philanthropist of the Year Award from US magazine The Hollywood Reporter. He won the BAFTA Britannia Humanitarian Award in 2009. To read more about Colin Firth’s charitable history, click here.